Camisoles and pyjama There are 4 products. 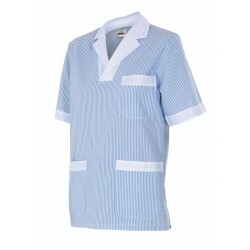 Camisole pajamas striped series 585 short sleeve with neckline in beak and three patch pockets. Views in color contrast. Possibility to personalize all items. 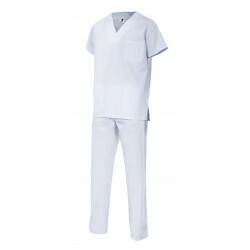 Camisole pajamas series 587 short sleeve with neckline in beak, three patch pockets and openings on the sides. Possibility to personalize all items. 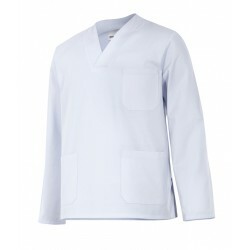 Camisole long sleeve pyjama series 588 with neckline in beak, three patch pockets and openings on the sides. Possibility to personalize all items. Set pajamas 800 series. 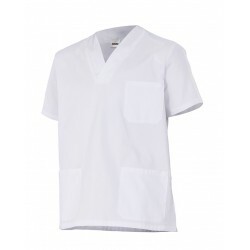 Camisole with neckline in beak, short sleeve type raglan sleeves and three patch pockets and slit in the side. Pyjama shorts with rubber and two pockets French. Possibility to personalize all items.